Originally Published in FreedomWorks For America by Joel Davis & Chris Gallaher on 5/20/14. "We are here to support Matt Bevin and help him win this crucial primary. He's the kind of candidate that we need in Washington that will stand up for liberty. I've talked with him, and he's incredibly sincere. 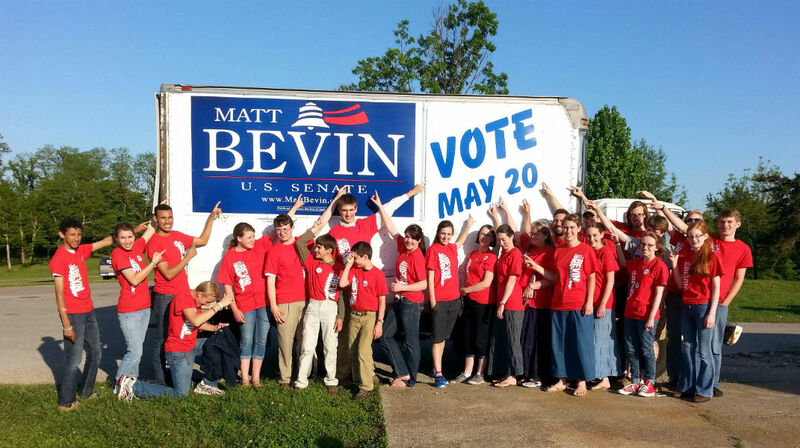 He inspires me,” said Youth For Bevin founder Holly Fraser. “This election impacts our future and that's why we are working hard to help him win." These kids have taken time out of their busy lives to come to Kentucky to make a difference in this very important race. They are learning that even as teenagers they can make a difference in our political process. This is an example of the next generation stepping up and trying to create change in our country. *Joel Davis is the FreedomWorks for America Kentucky Field Coordinator and the 2013 Activist of the Year. Chris Gallaher is the FreedomWorks for America Kentucky State Coordinator.